This is the first stage of a long-term digital transformation project to help us offer an improved service to our young people. 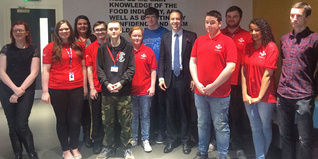 Young people from a Prince’s Trust programme met the Minister for the Cabinet Office, Matthew Hancock, at our centre in Glasgow. We’re proud to reveal our Team programme created £90 million in social value in the UK in just one year, according to independent research. Kelly Hoppen, Prince's Trust Ambassador, tells us the reason why she backs The Trust's Enterprise campaign. The Prince’s Trust and NatWest have launched a new campaign encouraging unemployed young people to start-up in business. 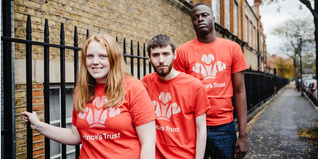 The Prince's Trust Achiever of the Year Award shines the spotlight on one exceptional young person who has turned their life around with support from The Trust. 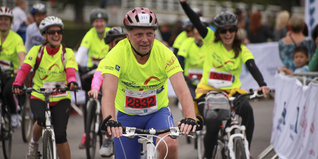 Palace to Palace has raised over £2.5million since its launch 10 years ago, to support disadvantaged young people into work. Judy Murray's auction prizes go like hot cakes at The Prince's Trust Scotland's biggest fundraiser 'Lunch with an Old Bag'.